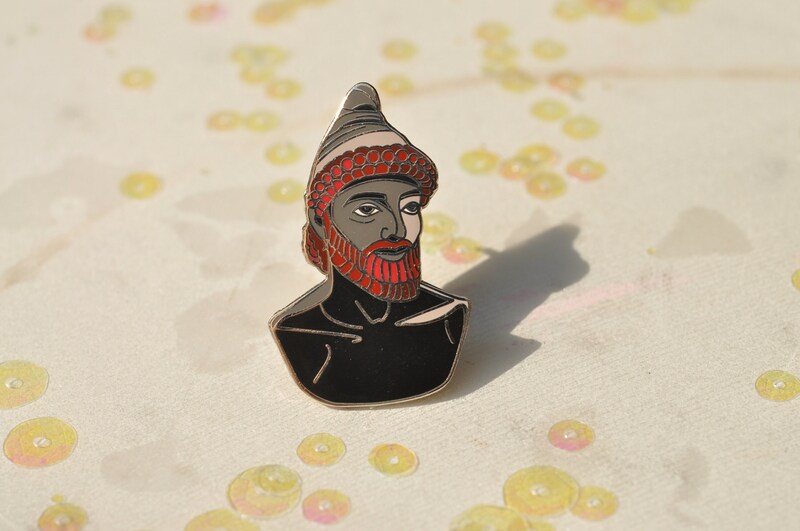 1.5" hard enamel pin depicting Odysseus from the Odyssey. Odysseus (or Ulysses in Roman mythology (I took Latin so we called him by his Latin name)) is the king of Ithaca and the protagonist hero of Homer's epic poem the Odyssey. 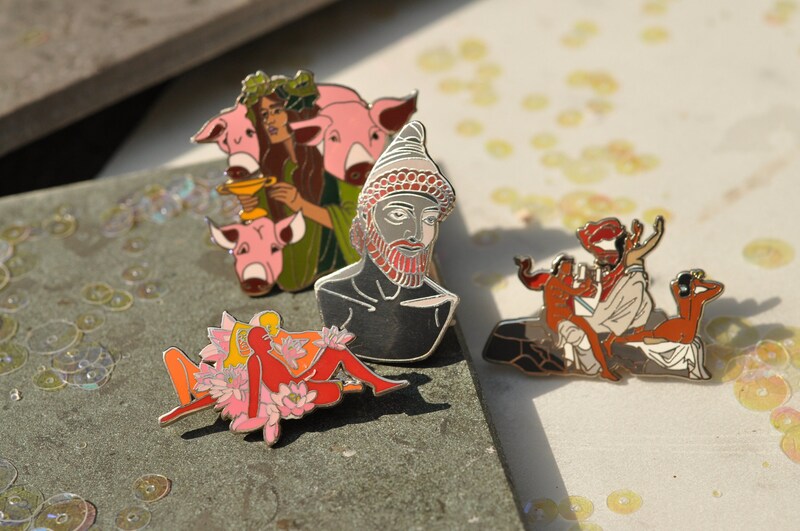 He is one of the most beloved characters in the western canon because he was known for his cunning, wit and wisdom, unlike some of the traditionally less cerebral heroes like Achilles and Hercules who relied on brutish strength and brawn to claim their victories. Aeneas is also a great example of this new type of more sensitive hero, one who loved and missed his homeland and attempted to find a place of rebirth for his people. Vergil's Æneid is considered by some to be Roman propaganda that borrows heavily from the Odyssey, but if you ever voice that opinion to me you're dead to me because it is my favorite piece of literature and I have been collecting copies of it for about 13 years (ask me how many different copies I have). But I digress- back to Odysseus. Throughout the epic poem, Odysseus and his men persevere through trial after trial to return home to Ithaca, where Odysseus's wife Penelope waits for him in the wake of the Trojan war. Over the course of ten years and the entirety of the poem, Odysseus leads a fleet of ships of Greek soldiers who survived the war, and encounters one roadblock after another in the forms of wind gods, enchanting witches, singing sirens, anthropomorphic rocks and tidal pools, cannibals, ghosts and even the cyclops which you might remember from our Beasts of the Ancient World collection. When Odysseus finally makes it home, he must wait ten long years in disguise to win back his wife Penelope, and does so by stringing and shooting a bow and arrow Penelope decrees that only Odysseus can shoot. He then goes on to kill a lot of potential Penelope suitors but it's a sweet story in that classical killing for love in dactylic hexameter sort of way.